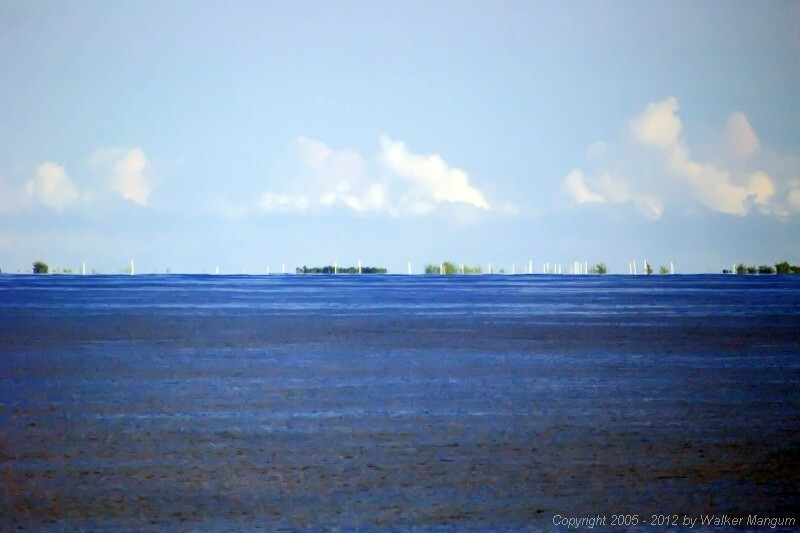 Anegada from 12 miles away, photographed from the top of the ferry with a long telephoto lens. Sailboats in the anchorage are "hull down", with only the tops of their masts visible above the horizon. The buildings ashore are below the horizon.